A community celebration is planned for this Sunday (April 10) around a special piece of Eden’s natural environment. 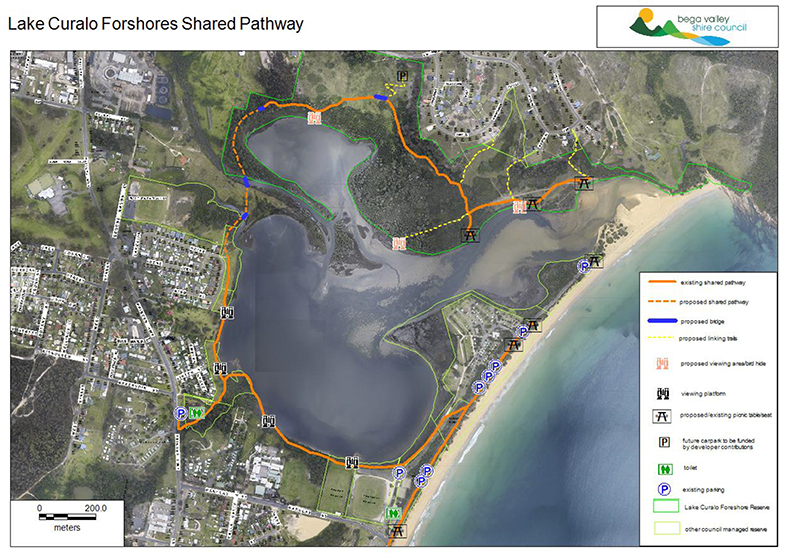 Bega Valley Shire Council is inviting residents to the official opening of the newest section of pathway in the ongoing Lake Curalo project. 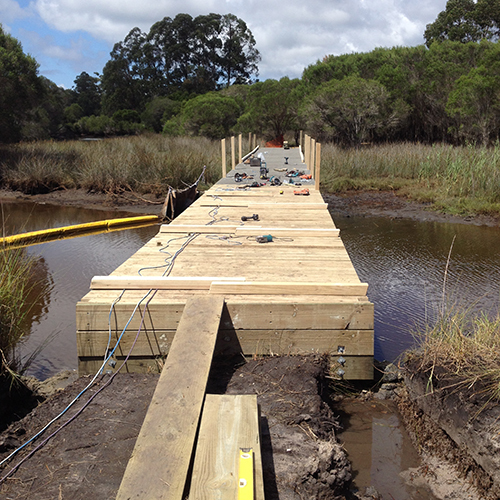 Four new bridges, fresh gravel pathway and stormwater drainage improvements make up the bulk of the $350,000 in works completed by local contractors. Lake Curalo is a sensitive coastal estuary sitting on the northern end of Aslings Beach. It’s home to 33 bird species, four of which are migratory and listed under international agreements for protection. The area is also a valuable resource in terms of recreational and commercial fishing and is of great cultural significance to the Yuin people. “Great care has been taken during the design and constructions phases of these works,” Project Manager, Richard Cunningham said. These new works create over 600m of new pathway linking to a 6km walking and cycle link between Eden town and the Eden Cove development. It’s land that also forms part of the 365km Bundian Way, the ancient indigenous trade and cultural route between the coast and the Snowy Mountains. “Council also sees great tourism potential in these sorts of projects,” Mr Cunningham said. Further works are proposed, while the ongoing weed and vegetation management is greatly assisted by the passionate members of Eden Landcare Group and residents of Eden Cove. The pathway is already proving popular with local walkers and cyclists and this Sunday’s official opening is a great opportunity to introduce more people to the Lake Curalo Pathway. The Eden Services and Social Club will host a free sausage sizzle on the day which runs from 12:30 to 1:30, enter off Lakeside Drive.